COLD COMFORT FARM by Stella Gibbons first came to my attention in the form of the 1996 film staring Kate Beckinsale as heroine Flora Poste. Somehow, despite my love for all things English literature, I had not heard of the novel previously, nor did I manage to get my hands on a copy prior to actually going to see the film, which I found light and amusing and a very enjoyable way to pass a couple of hours. Since I’m firmly of the opinion that books beat out their film adaptations in the vast majority of cases, this was a strong recommendation for adding the novel to my to-read list, where it has unfortunately lingered for the best part of two decades. No apologies; I think I’ve established how far behind I am with my reading. 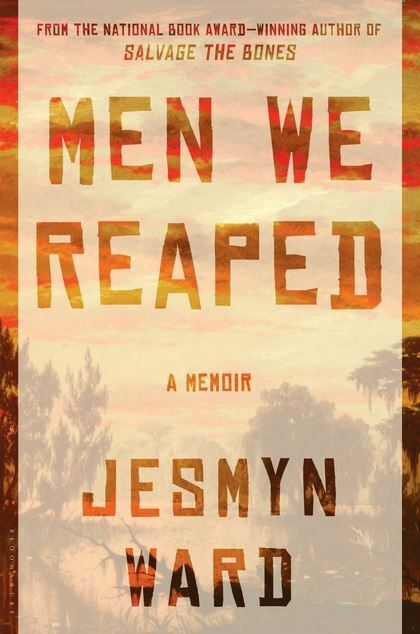 I finally picked up the book shortly after I finished reading MEN WE REAPED, because I was craving something very different and much less emotional, and COLD COMFORT FARM certainly met those qualifications. Gibbons tells the story of Flora Poste, who, upon being orphaned at nineteen, discovers her family was not nearly as well off as was supposed and that she needs to find a means of supporting herself beyond her measly one-hundred pounds annual income. Instead of taking up a profession — not uncommon for a woman in her circumstances in the early 1930s — she writes to all her distant family members to request they take her in, and so settles upon Cold Comfort Farm in Sussex. The book traces her trip to the farm, her encounters with a range of odd relatives and farm hands, and her determined approach to setting all and sundry onto what she firmly believes to be the proper courses for their lives. Gibbons herself shared a similar background to Flora Poste. She had two younger brothers for whom she became responsible when her parents died, and she worked as a journalist in London from the late 1920s on as well as maintaining a secondary writing career as a novelist. Her own father had a temper and a drinking problem, and no doubt his colorful behavior and that of some of her other family members informed the characterizations of several male characters in Gibbons’s work. 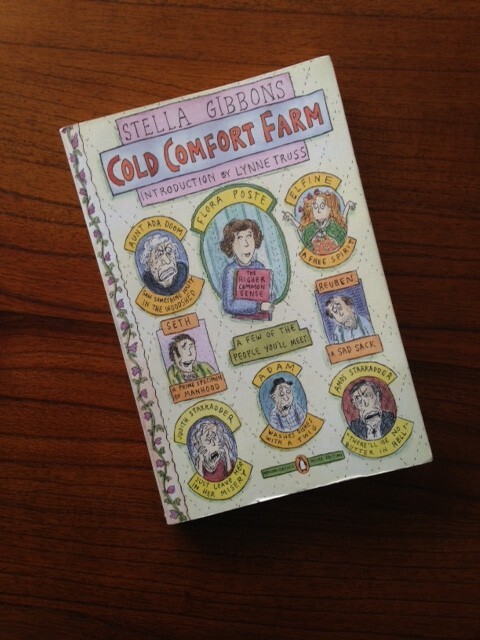 COLD COMFORT FARM offers an obvious parody of the novels of Thomas Hardy, D.H. Lawrence, and others who focused on nature and rural life, and which had long been popular, but it also speaks to determination and the ways in which an intelligent, educated woman might turn a situation to her advantage, something Gibbons knew full well. For all her bossiness and opinionated stances, Flora Poste accomplishes things; she turns Cold Comfort Farm on its ear, sending its residents scrambling in new directions, and they are all the better for her meddling. There’s a great deal to like about COLD COMFORT FARM, which is filled with humorous dialogue and blatant innuendo, as well as a brilliant collection of charter names that extends from the humans to the farm animals — a bull named Big Business, and cows answering to Graceless, Feckless, Aimless, and Pointless, to name a few. Among the ridiculous, there are some moments of true insight regarding human behavior as Flora manipulates the people around her by playing to their truest needs and desires, often ignoring behavior she considers unnecessary or unreasonable. But there are a few ongoing questions that are never quite answered. Flora may get her resolution, but as a reader I felt more left out than amused. Based on my experience with the film, I fully expected to love COLD COMFORT FARM, but the reality fell slightly short; I enjoyed it for its wit and cleverness and am happy to have finally read it, but it will not be joining the list of my most beloved reading experiences. Welcome to 2015! I’m so excited to kick off this brand new year, and to delve into the piles and piles of books I plan to read in the next twelve months. Today I spent a couple of hours deciding which challenges I want to participate in, and finally settled on three: The Goodreads Challenge, for which I’m aiming to read 52 books this year; the 2015 TBR Pile Challenge, which involves reading twelve books (with two alternates) that have been sitting on my TBR list for more than a year; and the Classics Club, which is a more long-term challenge that involves reading a minimum of fifty classic books in the next five years. I’ve created pages, linked above, for the latter two challenges, and the Goodreads Challenge widget now lives in the sidebar. I’ll admit I had a difficult time narrowing down my challenge choices, because the internet is overflowing with clever readers and many of them have created brilliant challenges that were very tempting. But while I want to stretch myself, I also don’t plan to make myself anxious over my goals for the year. The idea is to read more for myself, to get to some of the long-ignored books piled around the apartment, and to have fun. These three challenges allow for overlap, and will definitely push me to read more than I have the past few years, but still allow for busy periods at work and so on. They also leave room for me to focus on my ongoing goal of reading more diversely — books by authors of color, books by non-American/European authors, and books in translation. 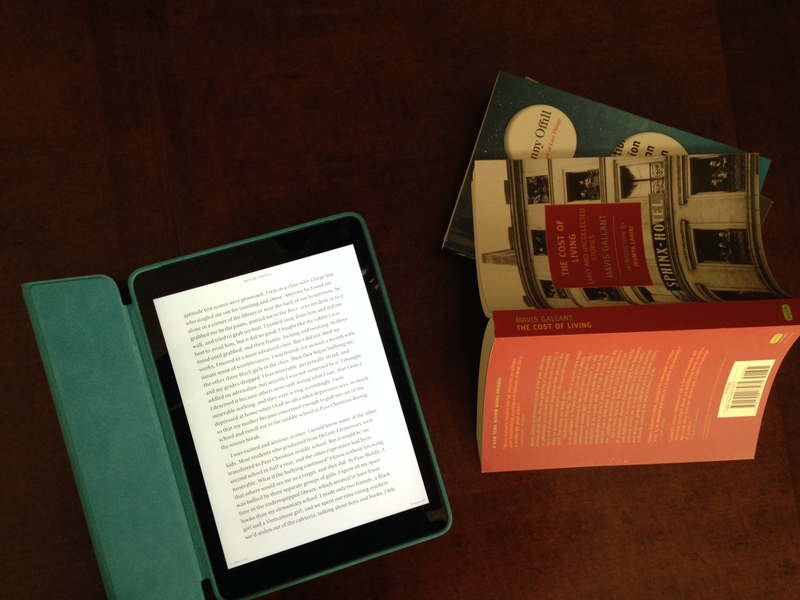 Could I push myself to read more? Probably. But it’s years since I actively wrote about the books I read with any regularity, and I want to allow time to do justice to my reading experiences. If I find myself exceeding my own expectations, it will simply make for a lovely surprise come the end of the year. On that note, I am off spend my evening with — what else? — a book. Wishing you all a wondrous, magical year, and a wealth of reading material to keep you entertained. New years bring new challenges, new outlooks, and the ever-popular resolutions. For the past few years I’ve been conscious of doing less pleasure reading than I’d like, allowing myself to get bogged down with reading for work and then using my personal time to do anything other than stare at more words. So in 2015, I vow to read more for myself, more for leisure. I want to fall in love with books all over again, to experience the joy of tripping over a new author purely by accident, of revisiting old favorites, and reading into the wee hours because I can’t stand the thought of stopping. It’s a wonderful thing to take something you love and turn it into your livelihood, but the danger is that some days work can strip the fun out of what was once just a hobby, so I’d like to recapture the feelings that made me want to work with books in the first place. I also want to read more deeply, and to take the time to really consider what I’ve read where it feels appropriate, which brings me to the motivation behind starting this blog. I know full well that the internet groans with the weight of all the book blogs already out there, but I didn’t want to combine my personal literary musings with my professional writing as a literary agent. I want a space that has nothing to do with work, where I can feel comfortable discussing my impressions of any type of book, regardless of genre, and where I can engage with other readers and hear their thoughts. My personal reading tastes tend to bounce all over the place, and so I expect this blog will do so as well. It will serve as ground zero for my various reading goals for the year, from reading more in general to reading more diversely. I’m also planning to tackle a few of the reading challenges I’ve discovered online in the last few weeks, with a particular eye toward actually reading the books I own rather than simply buying more and more. Which brings me to the name of this blog: Books to the Rafters. This very much describes the state of my apartment these days — books stacking up everywhere, the bookcases overflowing — with an embarrassing number of said books still unread. My iPad also holds a ridiculous number of untouched volumes, and while they’re less of a danger to life and limb — e-books tend not to topple over in an earthquake — they are that much easier to forget, given they lie invisible until I start scrolling through all the titles in my virtual library. It’s tempting to try and institute a complete book-buying moratorium, but I realize it’s an unrealistic expectation. I am, however, going to attempt to curb my impulse buying, and limit purchases strictly to a few titles I’m anticipating, mostly because they are the next in a series I’ve committed to reading. There are plenty of things for me to read already stacked up around my home, titles to suit every mood and purpose, things I’m genuinely looking forward to exploring. The layout here will definitely be a work-in-progress for the next few weeks while I play around and search out some good images and decide what I want to include. But first up is some planning for the year ahead, including posts for the reading challenges I intend to join. Book blogging is just one small component of my resolutions for 2015, but I have to say it’s one of the ones that has me most excited. 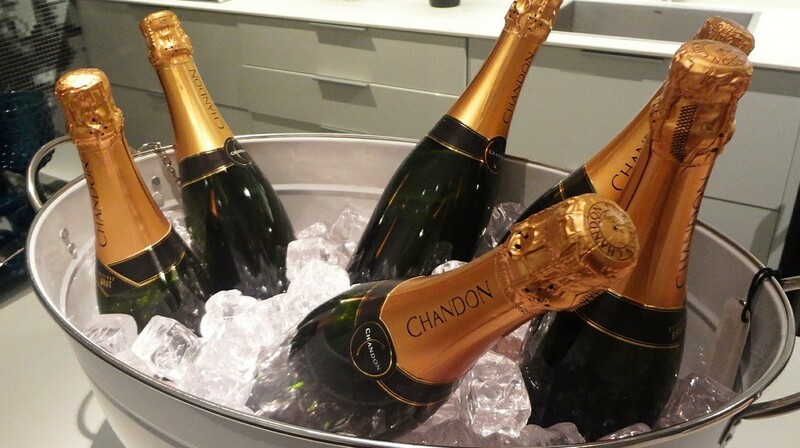 Here’s to a wonderful new year!